With our move to the Intergrative Learning Center in 2014, the Journalism Department now has more dedicated computers, video equipment, photo equipment and audio recorders for our students to check out and use. Still, some students like to buy their own equipment, so below you'll find some of our recommendations. A laptop is a vital tool for a young journalist. We suggest Macs, particularly if you're interested in photography, design or video. The Campus Bookstore, located in the Campus Center, offers academic discounts on hardware and software. We recommend a 4-16 GB flash drive that you can carry between your classes and your house. If you plan to shoot a lot of video or photographs, you'll want to invest in a 500GB or 1TB backup hard drive. What camera should you buy? That depends on how seriously you want to pursue photojournalism. Professionals use DSLR cameras, meaning you can adjust the shutter speed and aperture manually and you can change lenses. Good basic models that come with a lens can start as low as $550, such as the Nikon D3200, and range up to $750 for the Canon T5i. From there, you can buy bodies and lenses that cost thousands of dollars. Feel free to contact Brian McDermott if you have questions about buying photo equipment. Professional video camera kits—which include the camera, audio equipment, a tripod and more—can easily cost $3,500 or more. For that reason, the Journalism Department checks out professional camera kits to its majors. If you have a question about purchasing video equipment, contact Greeley Kyle. We recommend and use the Zoom H4n in our classes, which sell for around $199 apiece. There are cheaper models for recording audio you don't intend to publish, and of course smartphones also give you that option. Marantz recorders are the high-end professional standard if you want to buy expensive equipment. UMass Amherst offers students a range of Google Apps that are useful for word processing. Students can also purchase discounted copies of Microsoft Office, which includes Word, Excel, Power Point and more, through OIT. 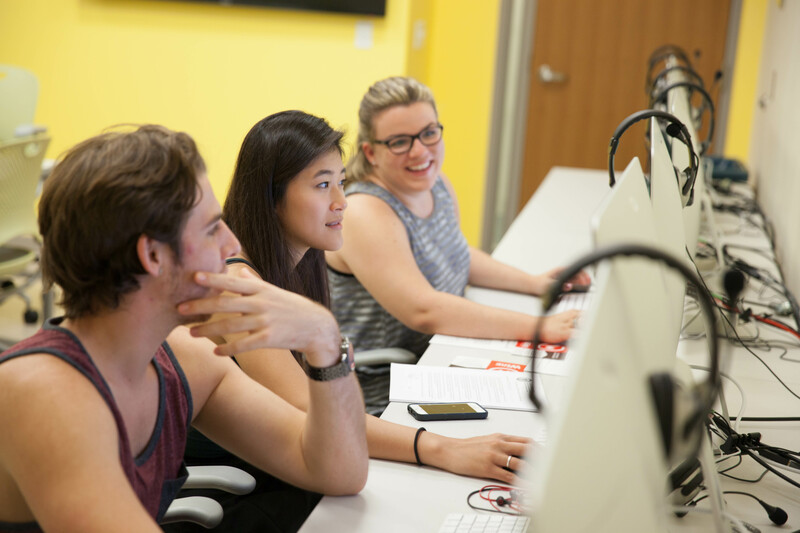 For Video Editing: We use Adobe Premiere and Final Cut in the computer lab. If you are interested in purchasing these or any other programs, we suggest going to the UStore, which can set you up with discounted student rates. Audio Editing: Audacity is free to download for PCs and Macs. Garageband, which comes with Macs, is also a popular option for audio editing. Image, Graphics and Web Design: Use Adobe Creative Suite, which includes Photoshop, Dreamweaver, Illustrator and InDesign. The Campus Bookstore may be able to offer you a student discount on these programs. Gimp offers free image editing software. For Audio Slideshows: Soundslides Plus ($69.95) is easy to use. The Journalism Department buys its equipment from B & H Photo. You can also find equipment at Adorama, Amazon and Target. It often pays to shop around.